Here’s the bottom line…everybody will get older and you are in fact, getting older right now as you read this article! But times have changed. Today the “older generation” are working longer, traveling more, involved with family child care and living active, productive lives. In other words, the quality of life for people in their 60’s, 70’s and beyond has improved dramatically. Let’s face it, nobody wants to end up incapacitated with a diminished life, living with pain and illness. See the three “super seniors” in the photo above? 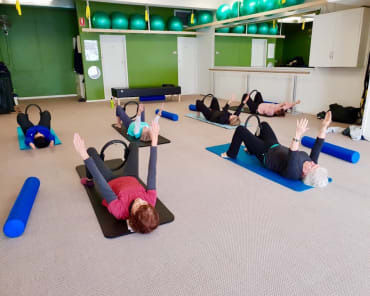 Pam, Blanche (both in their 70’s) and Christine (in her 60’s) have been Pilates Plus clients for some time now. 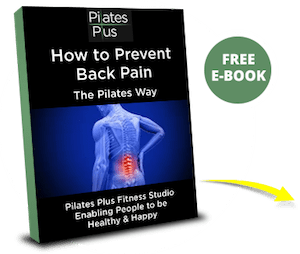 They all live busy, active lives and credit Pilates for enabling them to do so. In fact, I can absolutely say that Pam, Blanche and Christine have become stronger and fitter as they have gotten older!!! They are participating in classes and exercise that people half their age would not be capable of. Don, who is in his 60’s, is another example of how Pilates has enabled him to keep on doing what he loves to do, which is power boat racing, where he is winning over competitors half his age. And he does all of this with a hip replacement! 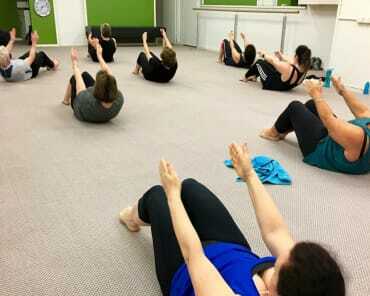 So what is it about Pilates that keeps our clients strong, flexible and capable well in to their 60’s, 70’s and beyond? Pilates has a unique way of creating mobility in each and every joint in the body. If we don’t continually move a joint through its full range of movement, it becomes a bit rusty and stiff. Moving your joints helps to lubricate them and keep the surface of the joint (cartilage) healthy. Over time, just like a door hinge, if you don’t oil and move your joints, they will not only become rusty but may seize up and stop working, or start to degenerate and break down. Not only do you need to mobilise your joints, but they also need to be supported with the deep “inner core” or postural muscles. 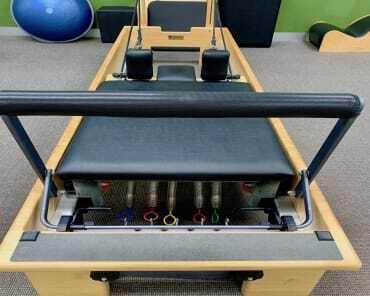 Pilates is the only exercise method that strengthens the body from the deepest muscles. This gives the body structural integrity. The longer you practice Pilates, the more the integrity your joints and other structural bits and pieces like tendons and ligaments will have. This significantly counter acts the degenerative effects of ageing. One of the ways that the body gets out of balance and injuries occur is if it is out of alignment or in other words, there are issues with posture. Posture relates to how upright we are and if the spine and the pelvis are in alignment and in the best position for a happy, balanced and functional body. Unless we actively work on posture, the spine will become less upright and start to compress and collapse. This can lead to degeneration of the vertebral discs, which in turn can lead to injury and chronic pain and stiffness.